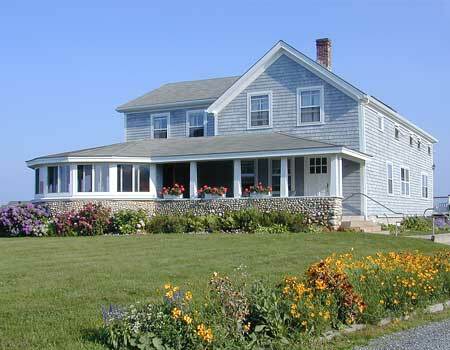 The Captain Rose House has nine rooms which are entered from the shaded decks overlooking the island . All rooms have a private bathroom with a tub and shower. The first floor rooms have impressive double whirlpool tubs, king canopy beds, and are wheelchair accessible. With windows facing the prevailing breeze, the rooms are always cool and fresh with sea air. Your stay with us includes a light breakfast of assorted breakfast breads, cereals, yogurts, hardboiled eggs, coffee, tea, and juice. Other amenities include fresh beach towels daily, free Wi-Fi, guest area with Direct TV, guest refrigerator, coffee and tea always available, ice machine, washer and dryer, bathroom with shower for use before check-in and after check-out. Children: 12 years and older are welcome for $25 per night. Adults: $50 per night. Rollaways are available. Rates do not include 7% RI Sales Tax or 6% RI Hotel Tax. *Be sure to inquire about our Return Guest Specials. double whirlpool tub, first floor. Queen bed, distant ocean view, private bath, tub/shower, second floor. 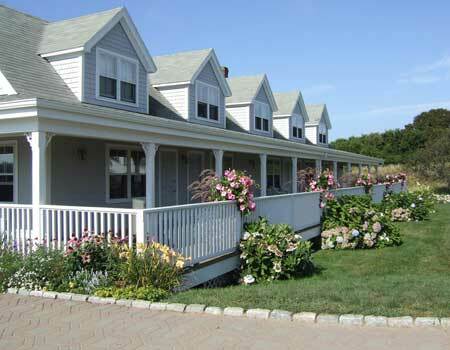 Queen and twin beds, distant ocean view, private bath, tub/shower, second floor. Be sure to ask about our Repeat Guest Special. Our reservation desk is open from 9-5 daily, for your convenience you can also book online through our website for lowest rates! !